Cell phone plans can be very expensive costing upwards of $100+ a month depending on how much data you need and what carrier you subscribe to. If you're on a family plan, the costs can be even higher. Throw in a cell phone financing plan on top of your bill, and that's certainly a good chunk of change going down the drain needlessly. Here I've compiled a list of cheap cell phone plans, in no particular order, to help you lower your monthly cell phone bill. You may not have heard of most of the cell phone companies listed here, but each of them provides service through at least one of the 4 major carrier networks in the USA. Each company buys minutes, texts, and data in wholesale from either AT&T, Sprint, T-Mobile, or Verizon and then resells the service to you at a much lower cost than what the major carrier would charge you directly for the service. 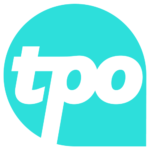 TPO Mobile was founded in the UK by three friends with a common vision. They wanted to transform something that people use everyday into a force for good. So in 2012, Andrew Rosenfeld, Mark Epstein and Tom Gutteridge started TPO Mobile, a mobile phone company that donates 10% of the revenue that it generates from each subscriber to a charity of that subscribers choice. In 2014, Wikipedia founder Jimmy Wales joined the company as Chairmen and Head of Digital Strategy, and in 2015, the company expanded to offer service in the USA. Who Should Get TPO Mobile? Anyone who wants a cheap cell phone plan that uses either Sprint or T-Mobile as the backing network and also wants to give to charity. $5.25 for the first month if you signup by Dec 12! $12.50 for the first month! Tello is a mobile phone provider whose parent company, KeepCalling, has been offering phone services since 2002. KeepCalling specializes in international communication, and it has used that experience to recently branch out and launch Tello in the USA. Tello provides its subscribers with the ability to custom build their own cell phone plan. Subscribers and potential subscribers can choose how many minutes, texts, and MB or GB of data that they want to have each month independently of one another. They don't have to signup with pre-configured plans that potentially waste money by offering more minutes, text messages or data than the customer really needs. Phone plans start at just $5/month with no additional fees whatsoever. Anyone that wants to custom build their own phone plan or needs cheap international calling options. Also good for those who don't spend a lot of time on their phones. Operates on the Sprint network. Total Wireless launched in 2015 and it is owned by América Móvil, the brand behind TracFone. Given that this is a TracFone owned brand, the company is backed by big money and a lot of experience. In fact, combined, the TracFone brands provide service to 25 million customers, making it the largest prepaid provider network in the USA. 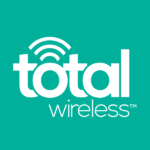 Total Wireless provides great value to those looking for service on the Verizon network and even more so to those who need 2 or more lines. The brand is sold exclusively through Walmart. Who Should Get Total Wireless? Anyone that wants coverage on America's largest wireless network, Verizon, but doesn't want to pay a premium for service on that network. Note: download speeds limited to 5 Mbps, upload 2 Mbps. Speeds should be plenty fast for the average user. AT&T is a brand that you are surely familiar with. It is the second largest wireless network in the USA and it is the largest GSM network. What you may not know about AT&T is that it runs a prepaid brand called GoPhone. GoPhone prepaid plans are considerably cheaper than AT&T's postpaid plans, yet they provide the same great service. Anyone that needs prepaid service on AT&T's network that also wants to save money over AT&T's postpaid plans.